AT&T Partner Solutions is kicking off its new channel sales event, Fusion by AT&T Partner Solutions this week in Dallas, Texas. Announced earlier this year, the exclusive event is the first time our indirect channels, AT&T Partner Exchange and AT&T Alliance Channel, will host their annual events together. And we’re promising a bigger and better-than-ever experience. We’re coming together with our solution providers for 3 days of networking, learning, recognition, and celebration. Attendees will gain access to keynotes by top AT&T and industry leaders, deep dive sessions and learn more from experts in the AT&T Solution Zone and Sponsor Showcase areas. “Our first-ever Fusion event is a celebration of the incredible success of the indirect channel over the past year and a launch of the exciting things to come,” said Zee Hussain, Channel Chief and SVP, AT&T Partner Solutions. At Fusion, AT&T is eyeing to continue their momentum from announcements made in 2017 and earlier this year to bring major enhancements to their channel programs. 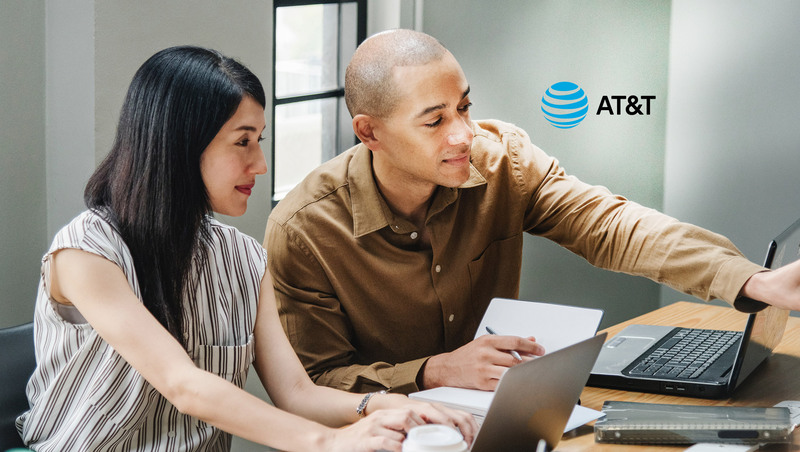 When Partner Exchange and Alliance combined forces under the Partner Solutions umbrella a year ago, AT&T had decided to leverage best practices from both channels. Now, Alliance Channel solution providers have access to enhanced technology platforms and services previously only available through Partner Exchange. This includes a cloud-based portal that gives Alliance Channel program members improved access to AT&T resources. In addition to a fresh design, the one-stop shop allows for better search functionality, informational widgets and access to new tools. The portal also includes quick qualification and quoting functionality for select services. Solution providers can qualify and quote AT&T Dedicated Internet and generate a customer-ready quote. In addition, we have granted them visibility into ethernet access availability and quoting via a self-service tool. The Marketing-as-a-Service program has also been expanded to Alliance Channel solution providers. Now they can get reimbursed for their marketing efforts with select vendors. We continue to expand our application programming interface (API) portfolio. In addition to the new quote capabilities within the portal, Alliance Channel program members can also qualify and quote AT&T Dedicated Internet via API. The Partner Exchange program has also added new API capabilities to their platform, including qualification for AT&T Switched Ethernet and deal creation for AT&T Internet Access. “By using an API to qualify and quote AT&T Dedicated Internet to our partners we have been able to save time and provide better service. Now we can qualify a customer’s address for service on the spot and have a quote to them in seconds,” said Adam Edwards, CEO Telarus. Our solution providers can extend their conversations with customers into new product sets. GM** Connected Car Wi-Fi Solution providers can help workers in the field stay connected. GM Connected Car Wi-Fi is ideal for businesses with workers who need connectivity for multiple devices, such as smartphones, tablets, and laptops. It’s one more resource we’re adding to our IoT website. Already available in the Alliance Channel, GM Connected Car Wi-Fi is now available in Partner Exchange. AT&T Mobile FormsKeeping track of customer paperwork can be challenging. AT&T Mobile Forms uses an application to digitize paper forms allowing workers to manage inventories, billing and more from a tablet or smart device. Already available in the Alliance Channel, AT&T Mobile Forms is now available in Partner Exchange.